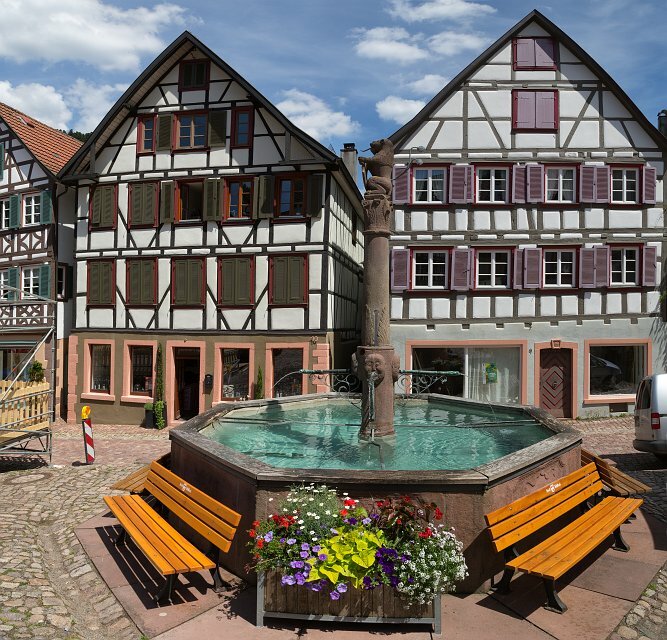 Schiltach's town fountain was mentioned as early as the 15th century and was restored in 1750. The pub and inn landlords used to store their standard measurements for the barrels and containers in a little house that stood by the town fountain until the last century. A sitting lion with emblem shield crowns the fountain. Today, there are many fairs and markets that take place around the fountain.